An essential aspect to the success of any business is the quality and reliability of its end-user applications. While having modern easy-to-operate applications are key to the productivity of your employees, the cost impact of managing and maintaining currency with your applications can be a real strain. This is where our impelApp service steps in. Application packaging is the process of creating and automating the deployment of software across multiple physical or virtual computers with a predefined set of properties and behaviours tailored to your business requirements. By packaging and standardising the software your business uses you will be able to reduce your IT support costs by lowering backend and desk side support overheads. impeltec Application Services uses industry-standard techniques to package your applications, ensuring that you know exactly how they'll behave on your users' devices and in your virtual environments. 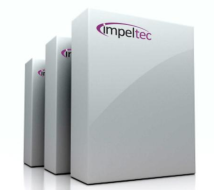 impeltec can help you get your applications delivered to your environment efficiently and painlessly. Our approach ensures that you can control your application environment while catering for the many variables that can be found in complex organisations. Application Compatibility Review – ensure your applications are ready for the move to Windows 10. It is much easier than you might believe. Application Packaging – a must have service. Have your applications tailored for your environment. Also consider subscribing to our low cost pre-packaged software library. Application Integration – a quick and simple service to get your applications up and running within your environment. Couple this service with impelSOE and impelOps to have all your end-user management needs covered. See our services overview to discover our full range of SOE-related services.